For two years now, the Sun Valley Summer Symphony has partnered with Time For Three, a talented group of classically-trained and world-renowned musicians who have worked with young musicians, immersed themselves in the community of Sun Valley, and composed original material for the summer festival. As Time For Three prepares to premiere their second commission, we wanted to hear about how they go from inspiration to final piece. 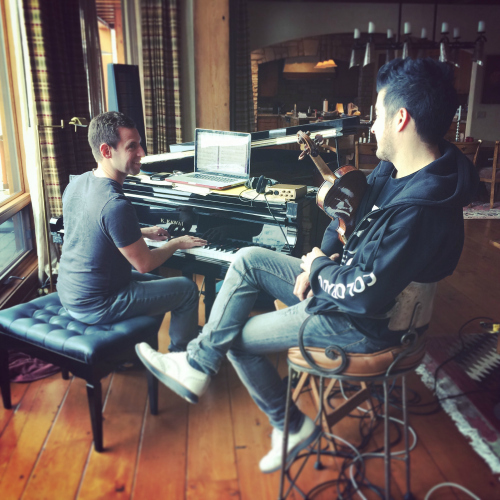 We wondered if composing for them is as Mahler described it, “Hitting my head against the wall, but the walls are giving way.” Nick Kendall and Ranaan Meyer share with us their approach and how being in sun valley has inspired their work. Watch out Walls! 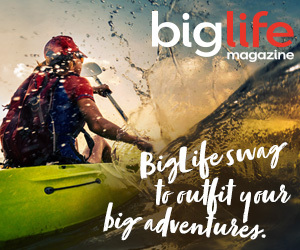 BigLife: You’ve premiered one commissioned piece at Sun Valley Summer Symphony and you’ll be premiering another this summer. Where did the idea for the first piece, “Elevation Paradise,” come from? Nick: We have been deeply impacted by our experiences in the Sun Valley area—playing and working with the high school students. The bond we have formed with these young people is so incredibly inspiring. Watching them put in the effort to be the best they can be—it feeds our creativity. We wanted to celebrate all of this and write an experience that honored those moments and the pure beauty of the natural habitat and history of the valley. Ranaan: It came from the fact that Sun Valley is elevation paradise! BL: What was that first experience composing in SV like? Nick: The challenge of writing our first big piece for Tf3 and the orchestra was daunting at first. At the same time, we had confidence that if we stayed true to our musical instincts, our ideas and musical voice would guide us through the process. We’ve been in the band long enough to know that we had to establish a structure early in the process. What would the story be and how would we lead the listener on a sonic journey that would make sense? We accomplished this in the first few days, and from there, it was about filling in the blank spaces. BL: Can you tell us about this second piece you’ll be premiering? There is a connection to the recent Paris terrorist attack, but could you tell us more? Does music have any hope of transcending tragedy? Nick: Music is so many things. It has always been a means to uplift or to inspire. Indeed, the inspiration for our second commission were the brave and inspiring words from Antoine Leiris, a father who lost his wife in the Paris attacks and who proclaimed his defiance against hate. Ranaan and I ended up writing a melody that has now become the centerpiece of the second movement to our three-movement concerto. The melody is a tune that a child might hum while playing with his toys—but the melody can also act as an anthem to celebrate life and to cloak a child from hate. After Ranaan and I finished this theme, we set out to create the outer movements, which seemed to take on lives of their own, much to our pleasure! BL: What does SVSS ask of you when commissioning a piece? What is the relationship between SVSS as commissioning body and you as composers and musicians? Nick: One of the many unbelievable gifts that we have received from Sun Valley Summer Symphony is that they fully believe in us. The freedom to create and to be ourselves is something that most artists can only dream of. Perhaps the only request comes from our dear friend and colleague, Maestro Alasdair Neale. It has always been his directive with us that the orchestra play a major role in these new pieces that we compose and construct. For a group like Tf3, the writing process could easily become all about us, and the orchestra would play a background role. So, it has been a priority that the musicians of the orchestra are very involved with our new compositions. The opportunity to leverage the artistry and ability onstage is yet another gift that the organization has given us. BL: Why did you start this project with SVSS? What have you gained from it so far? What has it meant to you as a group? As individual musicians? Ranaan: It has meant so much that the people here in Sun Valley are fantastic, generous people. And you really feel it; it’s a philanthropic community like no other. They have resources that are by far more impressive than possibly any other place in our country, let alone the world. They have a sense of social responsibility that seems to be attached directly to their hearts. This whole festival is something that brings Sun Valley and the people involved so much joy, and they really want to give back. So it seems to be incredibly reciprocal. We feel like we have so many friends there in the community, and Sun Valley is pretty much a second home. Nick: SVSS is such a “YES” organization and we have leapt forward in many ways. For Ranaan and I to write our own original compositions for the band and the orchestra is a first for us. We have written for Tf3 alone, but never anything for the orchestra to play. As one can imagine, this opportunity is something that so many would only dream of having. And we get to realize this dream in reality! BL: What do you hope people hear when you premiere this second commission? Ranaan: This time around, we’re definitely going for more of an artistic stamp. It’s going to be a little less accessible, but I don’t want people to be scared by that. It’s a little less like a Renoir and a little more like a Pollock. It might take a second glimpse or a little more work for the listener to really get their hands dirty in this particular piece, but that should be a good thing. It’s important to stretch. BL: For the inexperienced listener, what should we listen for? Nick: We consider ourselves melodists. We hope that once the music gets going, there are elements within our pieces and compositions that one can hum later on. TJ Cole has masterfully created musical wrapping paper and shades of textures and color that surround our themes and melodies. It is simply amazing how she has taken our inspiration, and seamlessly created these palettes of sound for the orchestra to play that will contextualize and enhance what Ranaan and I have written. BL: For the seasoned listener, what should we listen for? Ranaan: I think it’s really one and the same. That’s the beauty of music. I mean it’s kind of like fine wine. You can drink a very fancy bottle of wine, something that’s been given a substantial amount of effort, and even if you know nothing about wine, there is a really good chance that you’re going to appreciate it at a much higher level than you would, say, a bottle that has a little less care put into it. So, I really think the inexperienced and the seasoned listener are listening for the same thing. BL: What surprises you the most about working, playing, teaching in Sun Valley? Nick: Perhaps it is not a surprise as much as it is a hopeful feeling about the world and the power of creativity, achievement, and the human spirit. Every visit to the community impacts us, and fuels Tf3 to continue learning and bettering ourselves. And it is a reminder that the challenges we face and the work we put into our craft is all worth it. BL: Composers you most admire? Compositions that give you the most trouble? Compositions that make you feel free? Ranaan: Bach challenges me the most. It’s just amazing to know that hundreds of years later a composer can still push the envelope. Of course, most Bach wasn’t written for the bass, in fact I don’t know if there is any solo Bach that was written for the bass, so I reach out to cello, violin, and even viola pieces. Bach is also one of my favorite composers. Then there are some major influences in this piece by composers like Stravinsky, Rachmaninoff, and Prokofiev. A lot of turn-of-the-century composers influenced at least the beginning and possibly the middle of our piece, but not in a way that might alienate the audience. Nick: I have recently been inspired by the living composer Magnus Lindberg. He wrote his Second Violin Concerto a few summers ago, and it simply blew me away. Another composition that inspires me is the Violin Concerto by Esa-Pekka Salonen, written in 2009 for the violinist Leila Josefowicz. Yet another composer whom I absolutely adore is an artist who is no stranger to Sun Valley, my good friend Mason Bates, and his new and amazing Violin Concerto! BL: When you play, there’s such energy on stage and in the room (Pavilion), what’s it like when you compose? Energetic, quiet, still, frenetic, etc? Ranaan: Nick brings a lot of energy to the table, and he’s also a pretty big coffee drinker, so I definitely feel like I have energy second to his. Personally, I like to get into a more thought-provoked frame of mind, and I enjoy really diving into what we are doing. When we get the opportunity to get on the stage, let everything go, and really get into character, whatever that character is, it is important to me to be true to the music. I really appreciate the fact that the music needs to guide, and not the other way around. If the energy of the composition all of a sudden gets exciting, there might be high energy in the room. But then again, if it’s a beautiful, soft moment or, in this case there’s so much having to do with Antoine’s loss, I try to just really dive into those feelings and think about the beauty of what it is we’re trying to do. Nick: Wearing the composer hat, I feel as though it’s a balance between knowing what your tendencies on the instrument are, what comes easily, and creating things that will challenge and stretch my abilities and the band’s abilities. The effort of trying hard and digging deep to accomplish something actually translates through the music and across the stage to an audience.